Eugène Renduel, 1836. - Eugène Renduel, Paris 1836, In - 8 (14x21,2cm), 631pp., relié. - Prima edizione illustrata nella prima estrazione e in un volume; ci sarà infatti disegnare in 3 volumi, più attuale. Binding pieno di dolore nero vintage. Indietro con i nervi decorati con reti e rulli sui nervi. Piatti caldi colpito una grande urna dorata con oro e grassi filetto inquadratura freddo. Friesland Indoor. bordi dorati. guardie bianche luccicanti (sporco su contreplats). Brunissures sparse. Bellissimo esemplare, molto raro in pieno vincolante. - [FRENCH VERSION FOLLOWS] Première édition illustrée en tout premier tirage et en un seul volume ; il y aura en effet un tirage en 3 volumes, plus courant et légèrement plus tardif. Un titre frontispice et 11 hors - texte sur acier (présence des serpentes sur papier crème) imprimés sur papier fort de Johannot, Boulanger, Raffet, Rogier & Rouargue gravés par Finden, Staines... Elle est bien imprimée dans une typographie aérée à grandes marges, et proche de l'originale parue en 1831. La planche "De l'utilité des fenêtres" est bien présente ; elle manque souvent selon Clouzot. Reliure en plein chagrin noir d'époque. Dos à nerfs orné de filets et roulettes sur les nerfs. Plats frappés à chaud d'une grande urne dorée, avec filet doré et gras à froid d'encadrement. Frise intérieure. Tranches dorées. Gardes moirées blanches (salissures sur les contreplats). Un coin légèrement émoussé. Petits frottements sans conséquence, plus visible sur un nerf. Brunissures éparses. Bel et rare exemplaire en reliure romantique de l'époque NB : Cet ouvrage est disponible à la librairie sur demande sous 48 heures. QUAIN, Jones (1796-1865) [und William James Erasmus WILSON (1809-1884)] (Hrsg.). The muscles of the human body; a series of plates, with references and physiological comments. Sketches by "Boz," Illustrative of Every-Day Life, and Every-Day People. [together with] Sketches by Boz: Illustrative of Every-Day Life, and Every-Day People. The Second Series. De la dÃ©mocratie en AmÃ©rique. Paris: Librairie de Charles Gosselin. 1836. Fifth Edition. Hardcover. 5th edition, revised and corrected. In two volumes. xxix, 369pp; 430pp. Modern brown half calf over marbled boards, spine with four raised bands, lettered and decorated in gold. With large foldout hand-colored map of the United States. Old, faint dampstain to rear free endpaper, sporadic foxing, minor annotations in pencil. A near fine set. Text in French. ; 12mo . Das Königreich Bayern in seinen acht Kreisen bildlich und statistisch-topographisch sowie in acht historisch-geographischen Specialkarten bearbeitet von einem Verein von Literaten und Künstlern. Hrsg. von G. Lommel und Bauer. 8 Tle. in 1 Bd. Mit 1 kolor. gest. Frontispiz und 8 kolor. Kupfertafeln sowie 2 gest. grenzkolor. Karten (st. 8). Manchester, England, n.d.. First Edition. Hardcover. Very Good. 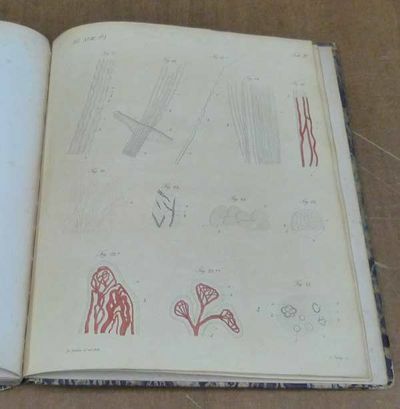 Manuscript notebook listing over 400 patents relating to dyeing many types of textiles, includes name of patentee, details of the process, chemical formula. 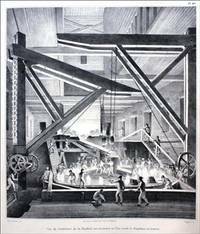 Over 50 drawings of process, apparatus and equipment. Topics include: apparatus for hosiery dyeing, manufacture of ink from wasted dye liquor, Prussian blue from gaswork refuse, steaming yarns and piece-goods in a wet sate, etc. Patents date from 1836-1886. According to the handwritten address on first free endpaper, notebook was compiled by A. S. Liebman & Thuler of 20 Marsden Street, Manchester (England). According to the Journal of the Society of Chemical Industry (Great Britain), Volume VIII, 1889, Dr. A. Liebmann, an analytical chemist, had an office at 10 Marsden Street, Manchester. Mid to late 19th century. Unpag. 16mo. 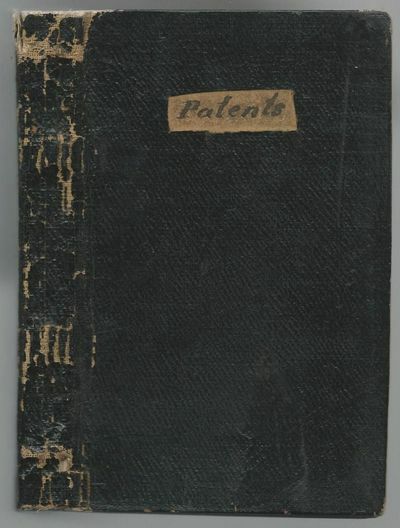 Black cloth boards with light scuffing, tear at head of spine, small rectangle has been excised from front cover and the word, "Patents" written on the cardboard beneath in black ink. Docket Book of Jonah Titus, Rhode Island Lawyer and Dorrite Attorney..
1836. Docket Book of a Notable Nineteeth-Century Rhode Island Lawyer Who Took Part in the Dorr Rebellion [Manuscript]. [Titus, Jonah (1796-1876)]. [Docket Book of Jonah Titus, Rhode Island Lawyer and Dorrite Attorney General]. [Scituate, RI, May 1836-December 23, 1875]. pp. Folio (13" x 8"). Reversed calf, black-stamped panels to boards, raised bands, black-stamped ornaments and lettering piece (reading "Ledger") to spine. Moderate rubbing and a few minor scuffs and stains to boards, heavier rubbing to extremities with wear to spine ends and corners. Light toning, text in small neat hand on 378 hand-numbered pages, entries on 8 other leaves at rear of text. * Titus, believed to be the first lawyer to establish a practice in Scituate, was a leader of the Rhode Island bar. He is remembered for his participation in the Dorr Rebellion of 1841-1842, an attempt to force broader democracy in Rhode Island by establishing a rival state government under "Governor" Thomas Wilson Dorr. Titus was Dorr's attorney general. The turbulence of that period is not reflected in this docket book, which lists memoranda of cases, services rendered and fees charged. Also listing personal expenses, this offers a fine perspective on the working life of a well-respected attorney with a thriving practice over a 39-year period. Payne, Reminiscences of the Rhode Island Bar 41-43. London, Tilt, 1836. - 12°. Leporello mit 24 kolorierten Textholzstichen von George Cruikshank. Illustr. Original Pappeinband. Selten. Die erste Tafel mit geklebtem Einriss im weissen Rand. London: John Macrone,, 1836 . In two volumes. Illustrations by George Cruikshank. 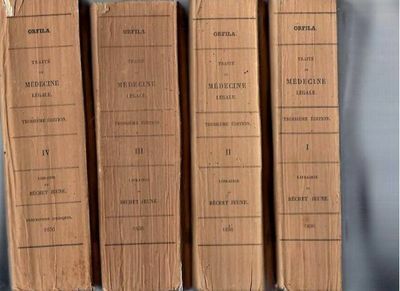 2 volumes, octavo. Original dark green regular-patterned straight-grain morocco cloth, spines blocked and lettered in gilt, cream endpapers. Frontispieces and 16 engraved plates. Spine slightly faded and rubbed, tips a little bumped and slightly worn, some light foxing to contents. An excellent set. Second edition of Dickens's first books (six months after the first). Tsukemono haya shinan [trans. : A Guide to the Art of Pickling]. Three double-page & one single-page illus. 33 folding leaves. Small 8vo, later wrappers, new stitching. Tokyo: 1836. First edition. Pickling is one of the glories of Japanese cuisine. This work, written by a Tokyo wholesale dealer of pickles, provides 64 recipes for pickling and marinating in miso different foodstuffs including cucumbers, radishes, eggplants, carrots, plums, burdock, chrysanthemum flowers, wasabi leaves, edamame, watermelons, ginger, winter squashes, etc. The anonymous author provides a history of pickling in Japan and traces its origins back to the middle of the 14th century. 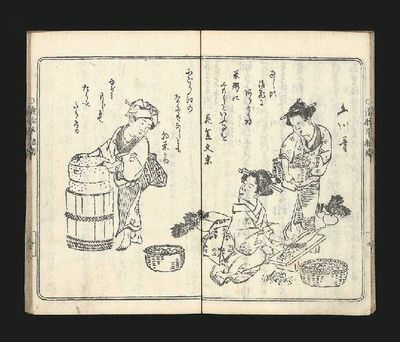 The fine woodcuts depict men and women cutting and preparing vegetables and fruits for pickling, the wooden vats, manaita (cutting boards), etc. Fine copy and rare. &#10087; Seiji Takarabe, "A Bird's-Eye View of Japanese Pickles," Kyoto University Economic Review, Vol. I (1926), pp. 192-200-(which is absolutely fascinating and endearing at the same time. The author, on a tour of Europe to study economic matters, was more interested in the pickled foods which he encountered. He was a real gourmet and delighted in both English and German pickled foods, about which he wrote with the greatest enthusiasm). .
Werdet 1836 In - 8 (20,8 x 13,4 cm), faux - titre, titre, 376 pp., (3) ff., demi - basane fauve à coins, dos lisse orné, tranches marbrées (reliure pastiche). Première édition séparée de ce roman, dont il fut fait un tirage à part à 300 exemplaires, qui est constitué du Tome II du Livre mystique (seconde édition, Werdet, 1836), (Clouzot). (Menus défauts, angle inférieur du feuillet 147 arraché, quelques petites mouillures légères, quelques trous de vers dans la marge inférieure des 38 premières pages, traces sur les 3 premiers feuillets, rousseurs). / / Octavo (20,8 x 13,4 cm), half - title, title, 376 pp., (3) ff., fawn three - quarter roan, smooth spine tooled, marbled edges (XXth cent. pastiche binding). First separated edition, limited printing of 300 copies, being the vol. 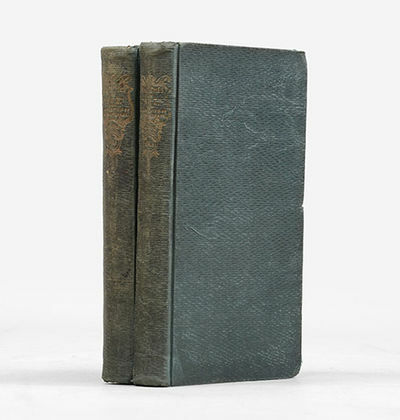 2 of "Le Livre mystique" (second edition, Werdet, 1836), (Clouzot). (Minor defects, lower corner of leaf 147 missing, some little light water - stains, some worm holes on low margin of 38 first pages, marks on 3 first leaves, foxing). 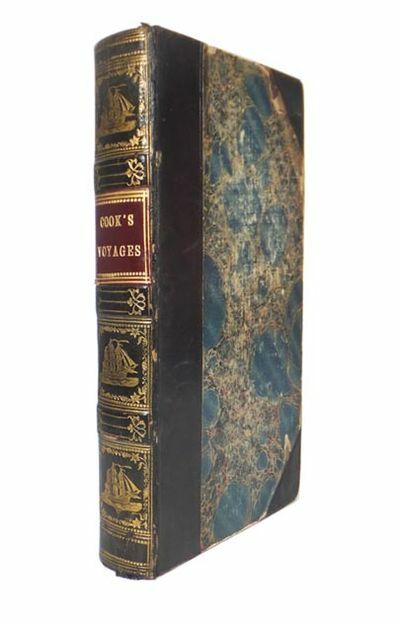 Cook's Voyages. The Life and Voyages of Captain James Cook. Paris, Baudry, European Library. 1836., 1836. 8vo. Paris Baudry Edition with much previously unpublished material., First Thus. Bound in half contemporary black calf, extra gilt to spine, replacement title label in red, light brown endpapers. Some wear, mainly scuffing, small crack to upper front spine, some spotting to text. Very good. Plans et DÃ©tails du Monument ConsacrÃ© Ã la MÃ©moire de l'Empereur Alexandre. Ouvrage DÃ©diÃ© Ã sa MajestÃ© l'Empereur Nicolas Ier. With: Description de la Colonne Monumentale ErigÃ©e Ã la MÃ©moire de l'Empereur Alexandre Ier. I. Half-title, engraved title with vignette, full-page engraved portrait of Alexandre Ier, (II pp.) foreword, IV pp. introduction, (I p.) list of plates, 40 pp. detailed text, with annotations, including description of the monument, its design, methods of quarrying and carving including details of sculptural technique, the transport of the column by barge, its transfer to land, and the final erection of the structure, 11 smaller engravings, 41 superb full-page engraved plates showing all aspects of the work, the engineering feats surrounding its movement and erection, the formal dedication of the monument, etc. Title-page and borders of several plates with expertly repaired tears, some smudging and light soiling here and there. With: II. 80 pp. text description (in French) of the creation and installation of the monument, accompanied by 2 beautiful hand-colored lithographic plates. I. Elephant folio. 3/4 morocco and boards, raised spine, gilt details. Paris (Thierry) 1836. II. 8vo. Leather-backed boards. St. Petersburg (Pluchart) 1834. Einzug König Ottos von Griechenland in Nauplia am 6. Februar 1833. Im zentralen Vordergrund reitet König Otto mit seinem Gefolge am Ufer der Meeresbucht zu dem mit Mauern umgebenen Nauplia. Links der befestigte Berg Palamides, im Hintergrund die Salut schießende Flotte, vorne die bewegte Volksmenge in griechischer Nationaltracht. Public Works of Great Britain, consisting of Railways, Rails, Chairs, Blocks, Cuttings, Embankments, Tunnels, Oblique Arches, Viaducts, Bridges, Stations, Locomotive Engines etc. Cast Iron Bridges, Iron and Gas Works, Canals .etc. Plan of the harbour and port of London.153 plates. Edinburgh: William and Robert Chambers, 1836. vii, , 72pp. With five plates formed of pasted-on coloured paper triangles, and five diagrams within the text (four of which are hand-coloured). 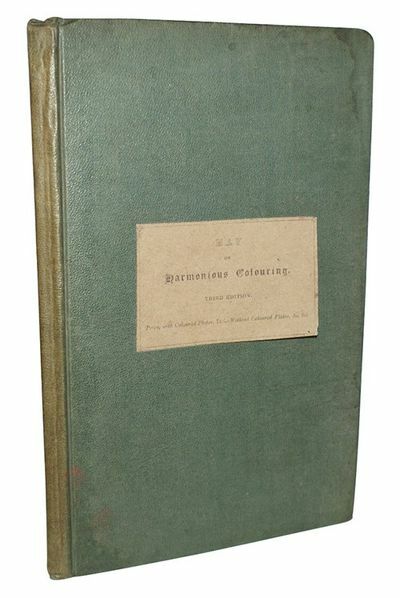 Original publisher's green cloth with paper title label to upper board. Some damp-staining to board edges with slight wear and spots of soiling. Two leaves of introduction partially unopened, light marginal browning to the odd leaf, ink stamp to FEP of the Ben Damph Forest library, family seat of the Earls of Lovelace. David Ramsay Hay (1798-1866) Scottish artist and interior designer whose commissions included the decoration of the royal residence of Holyroodhouse for Queen Victoria and the country house of Abbotsford for poet Walter Scott. A noted art theorist Hay's thesis on colour would be revised and expanded upon through six editions of Harmonious Colouring. . Third edition. 8vo. 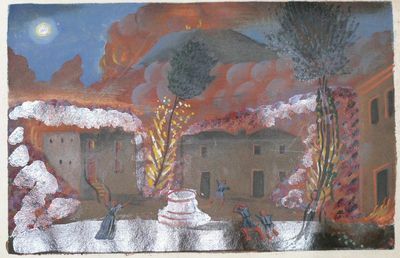 [Mexico, 1836. Broadside, 8 x 10 inches. Blank integral leaf present. Split along lower third of spine, contemporary manuscript notations in left blank margin. Quite clean. Very good. 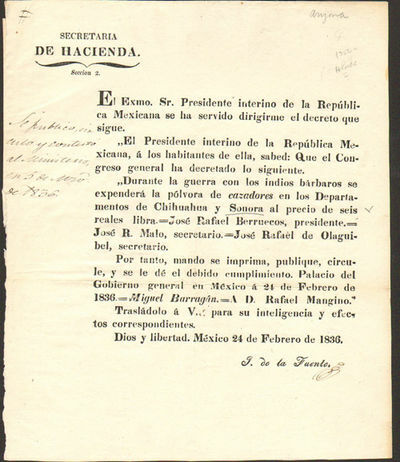 An important official decree relating to the Indian wars in northern Mexico. It authorizes both the sale of gun powder in Chihuahua and Sonora (two territories where the Indians were most dangerous) at the price of six reals per pound and permits such government-sold powder to be used by settlers in their efforts to prevent the Indians from invading Mexico. The decree thus covers present-day Arizona. Rare. Not on OCLC. Geologie oder Naturgeschichte der Erde auf allgemein faÃŸliche Weise abgehandelt. Stuttgart, Schweizerbart 1836 - 1844.. 5 BÃ¤nde. Mit 97 (9 kolor.) Tafeln in Stahlstich und Lithographie sowie zahlr. Textholzstichen. Lwd. d. Zt. Poggendorff I, 1427. - Einzige Ausgabe. - Reich illustrierte Darstellung der Geologie, mit Kapiteln zu Bergbau, Erdgeschichte, Mineralogie, Gebirgskunde, Vulkanologie etc. "Eine der besten populÃ¤ren Schriften, welche wir in diesem Fache besitzen" (ADB XVIII, 310). - Der 5. Band fast ausschlieÃŸlich Ã¼ber Vulkane und Erdbeben mit dekorativen Illustrationen. Die Tafeln zeigen Gesteinsformationen und Gesteine, Fossilien, Bergbau, Ansichten von Vulkanen etc. - RÃ¼ckenschilder mit Absplitterungen. RÃ¼cken leicht aufgehellt. Tls. gebrÃ¤unt bzw. stockfleckig. 1836. A Comic Opera. In Two Acts. The Music by John Hullah. London: Richard Bentley, 1836. 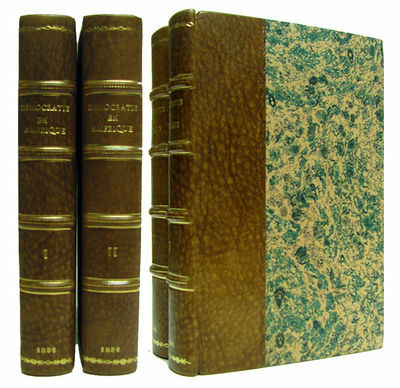 Bound in full tan calf with gilt paneled spine and leather labels, all page edges gilt. First Edition of Dickens's first play to be published (produced on the stage about two months after his "The Strange Gentleman," but published a year earlier).~Dickens's musical collaborator was John Hullah, who was Government Inspector of Musical Education. They had met early in 1835, after Hullah had set to music a portion of an opera called "The Gondoliers," the scene of which was laid in Venice. 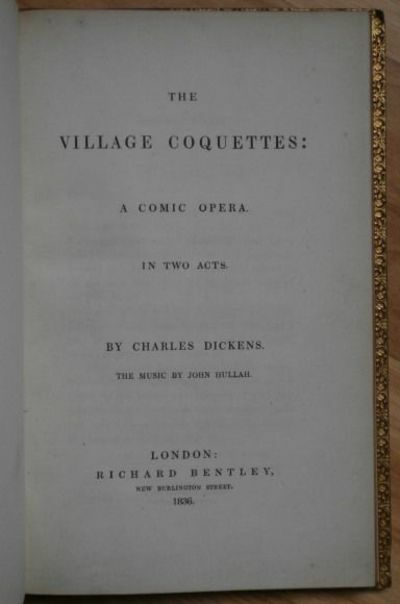 Dickens objected to writing the libretto on a foreign subject, and a compromise was effected which gave birth to "The Village Coquettes." The opera was accepted by Mr. Braham, manager of the new St. James's Theatre. It had its first presentation on December 6, 1836, with Braham himself in the cast... The play ran nineteen times in London, when it was transferred to Edinburgh and played under the management of Mr. Ramsay, a friend of Sir Walter Scott. [Eckel]~The 71-page book was originally issued in delicate grey boards, which are very seldom seen today. This copy was re-bound (without the boards) quite some time ago in full tan calf, with gilt paneled spine and red and green leather spine labels (subsequently re-backed, with the earlier spine laid back down). Condition is very good, the main flaw being that about half of the "Dickens" spine label has chipped away. Quite a scarce early Dickens item. Gimbel A25; Carr B525; Eckel pp 157-158. Provenance: bookplates of Robert C. May C.E. (of Orwell Lodge, Clapham Park, London), and of [William Proby, 5th] Earl of Carysfort [1836-1909]. McKENNEY, Thomas L., and HALL, James. Major Ridge. A Cherokee Chief. Philadelphia: E.C. Biddle, 1836-44. Hand-colored lithograph. Folio (19Â½" X 14"). Very good. Mild overall age toning; several very small (Â¼") edge chips, all far removed from the image area. A handsome image from the first, folio-size edition of McKenney and Hall's reknowned "History of the Indian Tribes of North America, with Biographical Sketches and Anecdotes of the Principal Chiefs," published in three volumes between 1836 and 1844. Containing 120 colored plates (based on oil paintings by Charles Bird King, most of which were destroyed in a fire at the Smithsonian), this legendary trio is the major source for accurate images of many early Native American leaders. Later printings were reduced to an octavo size. 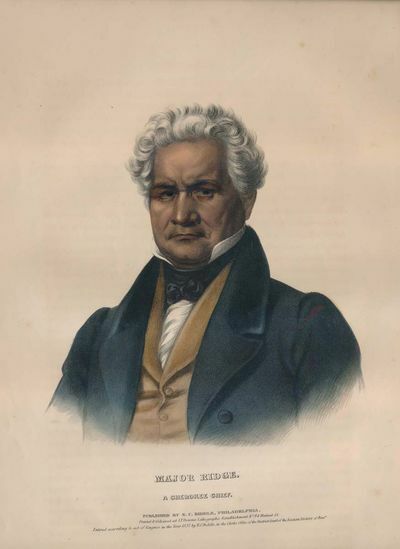 Major Ridge was a leading foe of Thomas Jefferson's Indian removal plans, a noted Indian warrior, chief, judge and diplomat. A strong imprint with bold, fresh coloring. Scarce. dalla Tipografia Salviucci 1836 4to (cm. 31), 2 cc.nn., 276 pp. con 6 tavv. incise su rame f.t. Cartonato rigido coevo con titolo oro su tassello in pelle al ds. Qualche sporadica fioritura ma ottimo esemplare in barbe, parzialmente intonso. Unica rara edizione. Olschki, 17563; Rossetti, 6849. [Breslau/Bonn]: [E Weber]. G- - in Good (minus) condition. Ex.-lib. Royal College of Surgeons with minimal marking. Covers worn and rubbed with wear to spine ends. Some creasing to pages within. 1836. First Edition. Papered marbled boards. 280mm x 230mm (11" x 9"). 190pp. Engraved plates bound in to rear numbered tab II - IX. Pages run from pp3 - pp190. Text in German. Valentine's 1836 paper is generally recognized as a milestone in the histology of the nervous system. Valentine deserves credit for indicating the basic ground elements that underlay the great variety of forms of nervous organization both within the human body and in the animal kingdom. .
Ausführliche Volkswaarenkunde für alle Stände, oder deutliche Beschreibung aller rohen und verarbeiteten Naturprodukte, Kunst-Erzeugnisse und Handels-Artikel; sowohl zum Privatgebrauch für Kaufleute, Kommissionäre,. Hausväter & Hausmütter. Georgstreet zu Sydney ('Ansicht Der Georgs-Strasse Zu Sidney. - Neu-Süd-Wallis.'). Graphik Pferderennen - Pollard, James (1792-1867). Epsom. The Race over. Farbaquatinta von Chas Hunt. Philadelphia: Mitchell and Hinman. Very Good+. 1836. Hardcover. Possibly rebound. Staining to obverse & verso of title page. Bookplate to front pastedown. Previous owner's name to rear endpaper. 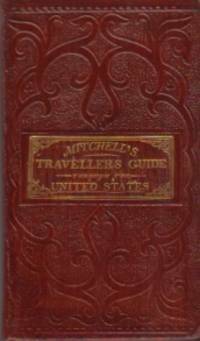 Tape to one map; Stunning early example of a guide to the USA, basically ending at the Mississippi river, before California or Texas was a state ; Maps; 24mo 5" - 6" tall; 78 pages . BÃ©chet Jeune, Paris, 1836. in8 BrochÃ© Etat Correct / Ancien -Usures d'usage -4 Tomes: Couvertures dÃ©fraichies (petites usures, pliures, micro-dÃ©chirures, rousseurs) voir photos -IntÃ©rieurs: Bien, propres, lÃ©gÃ¨rement gondolÃ©s, rares rousseurs. 4 planches illustrÃ©es dont 3 en couleurs + 1 tableau dÃ©pliable. Atlas en Bon Etat: Couvertures et Dos idem aux tomes avec dÃ©chirures sur le dos + importantes, cornÃ©, 24 planches illustrÃ©es dont certaines en couleurs. Ouvrages propres, complets, OK Lecture. Voir photos. Rare. Untersuchungen über Bevölkerung, Arbeitslohn und Pauperism in ihrem gegenseitigen Zusammenhange. Geology and Mineralogy Considered with Reference to Natural Theology. 2 Bände. [DECLARATION OF INDEPENDENCE]. UNITED STATES OF AMERICA. The Declaration of Independence Broadside. A broadside miniature printed on card stock with a coated surface, mounted, framed and glazed. A little wear to one corner, otherwise in very good condition. The first miniature printing of the Declaration of Independence, illustrated with the state seals and a portrait of Washington. The text is printed in italics with some phrases capitalized or in bold for emphasis; signatures in facsimile; surrounded by vignettes of state seals and a portrait of Washington, connected with a vine border printed in blue and pink. An attractively printed copy of the Declaration of Independence produced to mark the 60th anniversary of the signing of the document. Bidwell, American History in Image and Text 15.